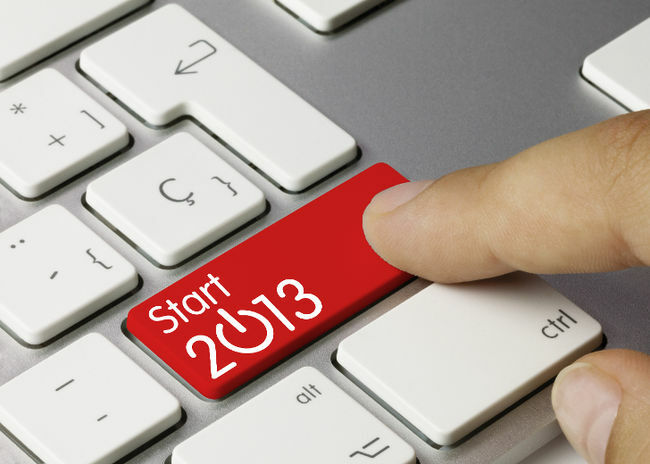 2013 - New year, New Tech Resolutions! 1. Get a Smartphone. It's not likely to cost you much and if there's one thing our customers never regret, it's making this change. Just. Do. It. 2. Expand Your Tech Universe. You're not a Mac. You're not a PC. You're a human being dammit, and you can have whatever computer/smartphone/media center device you darned well please. I have a dream, that one day, we will be judged by the content of our character rather than the gadgets we are seen carrying. I mean seriously, sometimes it feels like if you don't have an iPhone in Los Angeles, you may as well resolve yourself to dying alone. Is this what we've come to people? Is it? Which takes me to my next thought . . .
3. Give Windows 8 a Chance. Look, it's not perfect. But it actually improves upon the Windows 7 architecture, and a $3 app called StartIsBack will bring back the traditional start menu and regular Windows desktop. 4. Don't Expect Your Printer to Last. You've got one and you probably hardly use it. But after months of ignoring it you need to print something, but it's giving you grief. It's going to cost more to fix than the thing's worth. There are local spots that'll print the stuff for you or you can pick up a new printer at any number of local shops for in the $50 price range. Just accept that this is the normal cost of having a printer and that these things don't last. 6. Buy Good Antivirus. Stop with the free alternatives. Avoid the Norton's, McAfee's, and whatever preloaded, bloated antivirus cam with your computer. Get a good one. Kaspersky's my brand and I'm sticking to it. Their Mac version is awesome too. 7. Upgrade Your Internet Access. Get a good, fast service. Cable, U-Verse, or FiOS. Anything less is too slow. You'll thank me later. 8. Say Buh-Bye to Windows Vista. If you've still got it, you've held on waaaaaaaaay too long. Windows 7 or 8 is going to outperform Vista on the same hardware and with MS offering discounted upgrades to 8, you really have no excuse. If you've still got XP, you clearly weren't paying attention to last year's resolutions. 10. Start Streaming Media. You've got your big screen TV and you've got your computer. Wouldn't it be awesome to put the two together? There's no magic bullet solution yet. But there are a solutions that bridge the gap. Try an HTPC (a small form factor computer with an HDMI connection to your TV), a streaming box like a Roku or WD Live, or if you've got a Laptop with an HDMI port, you can go that route. 11. Use Social Media to Your Advantage. Yes be involved. Everything in small doses. Don't be this guy. 12. Save Money Shopping Online. With stores like Amazon, Newegg, Buy.com, Staples, and too may others to name, you really are throwing away free money if you're not using Ebates. Sign up for an account and just link to stuff through their website that you were going to buy anyway. FREE. MONEY. Isn't that enough? 13. Invest in a Solid State Drive. They're faster. They're better. And they're faster. They're finally affordable and it's the single biggest upgrade you can give your computer. So there you have it, 13 tech resolutions for 2013. Do all of them, some of them, or none of them. Technology is an ever evolving thing and as soon as you cross one of these off your list, another will surely appear. Happy 2013!